If you’re looking for a quick and easy way to watch over your home or office, the Aetos 100 - Hidden Clock Camera is exactly what you need. 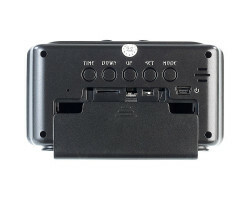 Covert and portable, this powerful hidden camera records full 720p HD video and audio. You can use it to watch over your valuables or your loved ones when you’re not around. Protect yourself from theft and unwanted intruders with the Aetos 100 - Hidden Clock Camera. 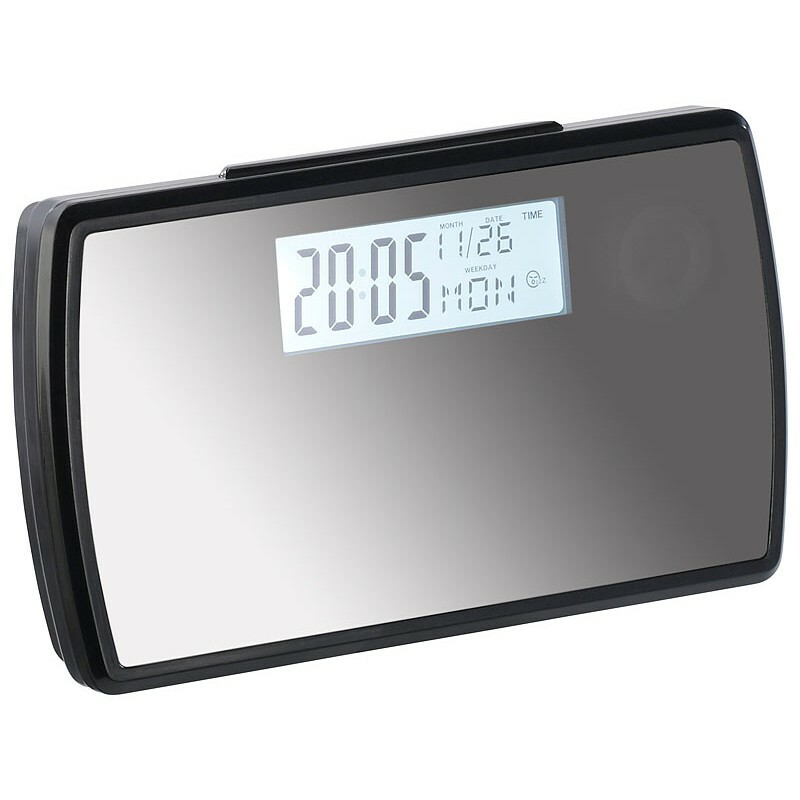 The Aetos 100 - Hidden Clock Camera looks and works like a normal alarm clock. 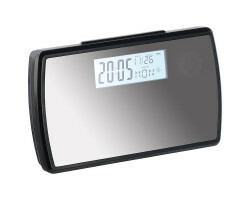 In addition to keeping track of the time and waking you up in the morning, the device will also tell you the current temperature when you push the top button. There are no red lights or camera features on the device that might give you away. Regardless of where you use the camera, no one will suspect that you’re recording video. The hidden camera records full 720p HD video and audio, catching all of those important details including faces from across the room. 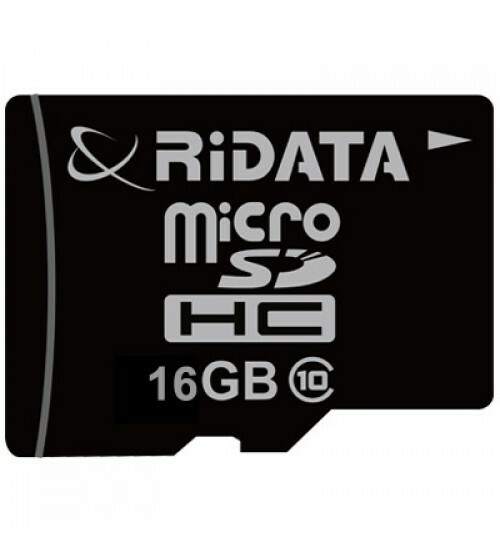 It features a wide-angle 120-degree lens that gives you a full view of the space. Just place the camera on a bookshelf, mantle, or your desk and you’ll be able to see everything that’s happening in the room. 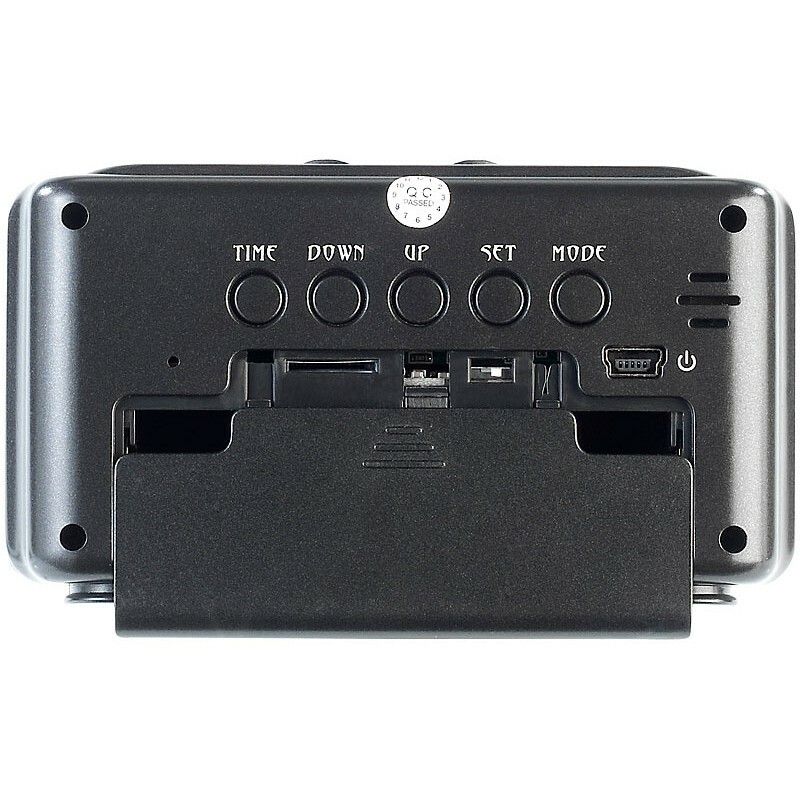 You can use the Aetos 100 - Hidden Clock Camera just about everywhere you go. It features up to 8 hours of battery life for recording on the go, or you can plug it directly into the wall for continuous power. The device is about the size of your smartphone, so you can easily pack it in your bag or a suitcase. If you’re traveling, you can use the Aetos 100 - Hidden Clock Camera to keep an eye on your new office space or your hotel room. 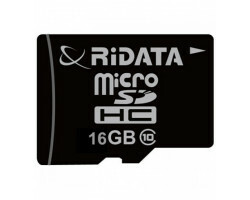 The device can store up to 10 hours of HD video with the included 16GB memory card. If you want to preserve your storage space, you can use the motion-activation feature. 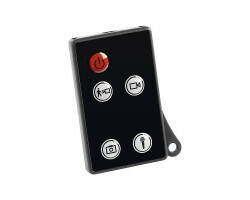 This means that the camera will start recording automatically when it detects motion in the room. You’ll catch all of those important moments without filling up your memory card with hours of useless footage. Theft can happen in the blink of an eye. 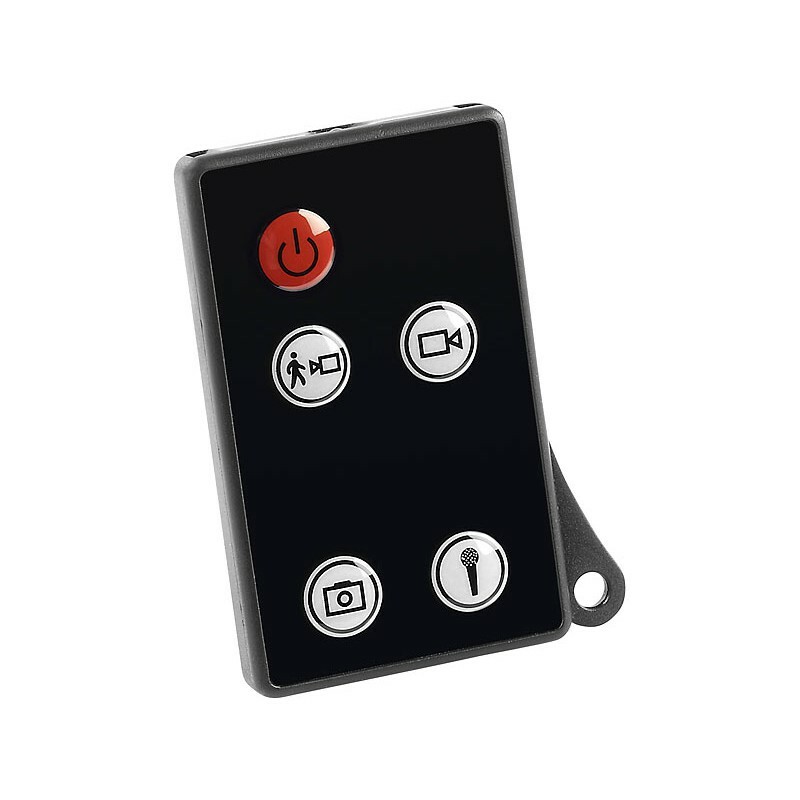 Whether you’re at home, on the road, or at work, you can rest assured that this powerful hidden camera has you covered. Safeguard what’s most important to you with the Aetos 100 - Hidden Clock Camera.